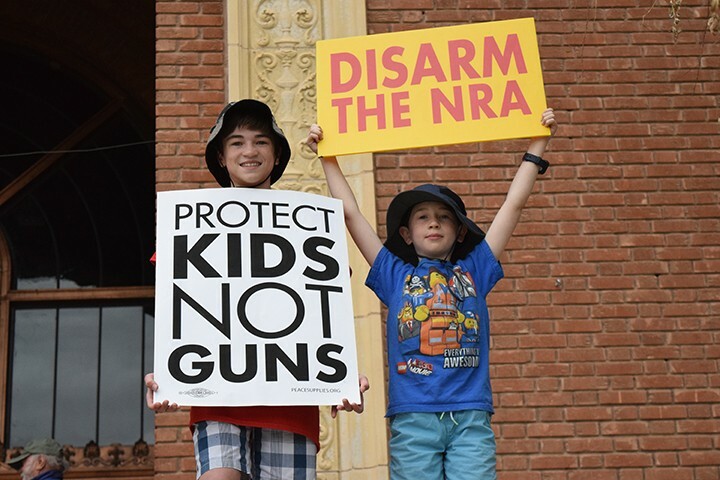 Another protest against gun violence is planned for April 20, at the UA mall, on the anniversary of the 1999 Columbine massacre. Text “resist” to 50409 for an automated system that will let you text your local representatives. Text “NRA” to the same number for info on how much your elected officials have accepted from the NRA. According to the nonprofit Everytown for Gun Safety: Rep. Martha McSally has accepted $68,000, Sen. Jeff Flake has accepted over $365,000, and Sen. John McCain has accepted over $7.7 million. Fourteen-year-old Halle Mar stood on stage and looked out at the thousands gathered on the University of Arizona mall. She told them she's afraid. She told them it's scary being a child in America today. "What I will say on this stage, what other kids have said on this stage and what Emma González said a few weeks ago makes more sense than what adults in elected positions, positions of power, are saying," she said to a chorus of cheers. "I'm 14. What was Donald Trump doing when he was 14?" Mar was one of the thousands of people who took to the Tucson streets on Saturday, March 24. Waiving signs and chanting "Enough is enough," they marched from the downtown library to the UA mall. Volunteers with Mi Familia Vota, holding clipboards, registered young people to vote. Teenagers carried signs that read "Am I next?" Passersby on the street chanted in sync with the crowd. 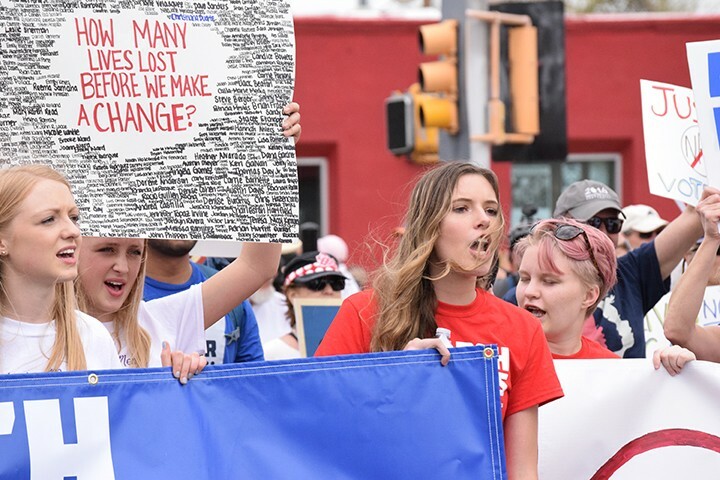 Joining over a million students and allies, in over 800 marches across the nation and the world, Tucsonans marched to demand legislation to reduce gun violence in the student-led March for Our Lives. 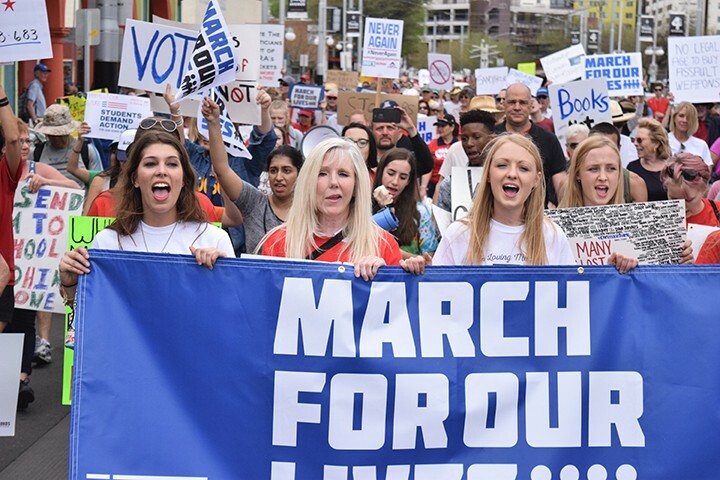 The main march, in Washington D.C., organized by the survivors of the Marjory Stoneman Douglas shooting in Parkland, Florida, drew hundreds of thousands, making it one of the largest demonstrations ever on the nation's capital. "If guns made America safer, we would be one of the safest countries in the world," Mar said to the Tucson crowd. "And no, we're not trying to strip you of your Second Amendment rights. We're not anti-gun, but pro gun-safety." The U.S. has more gun homicides than the rest of the developed world, nearly four times more than Switzerland and more than 21 times more than Australia. The U.S. also has almost half the civilian-owned guns worldwide. Many of the 18 speakers at Tucson's March for Our Lives have been personally affected by gun violence. 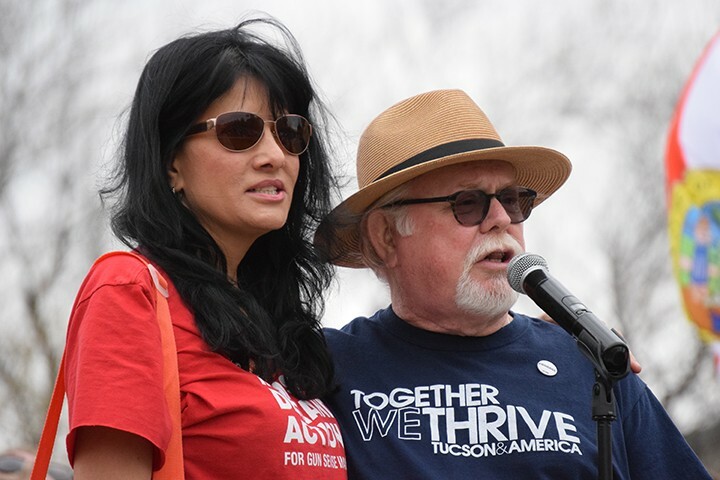 Among them was Tillie Douglas, the teenage granddaughter of former congressman Ron Barber, who was shot when he was district director for then-Rep. Gabrielle Giffords at Tucson's 2011 mass shooting during Giffords' Congress on Your Corner event. Douglas walked the march in the front of the crowd, her grandfather behind her, holding one corner of a banner that read "I stand with Emma. 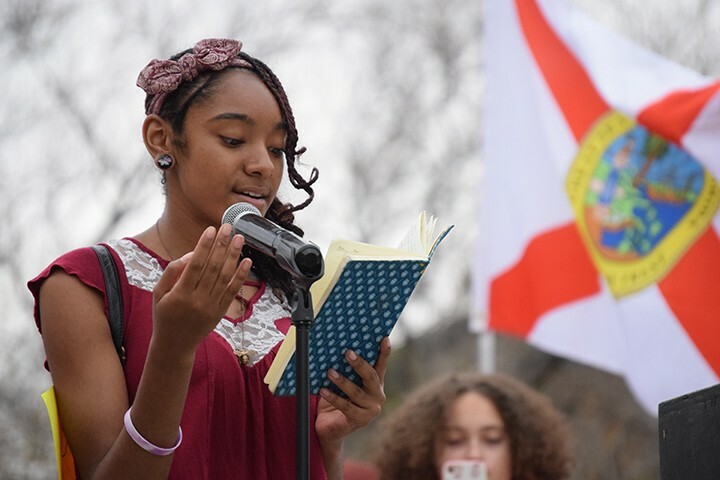 We call BS," referencing Emma González, one of the student survivors from the Parkland high school who organized the march in D.C.
Douglas remembers seeing her grandfather in the ICU a couple days after he was shot. She was 6 years old. She remembers the tubes in his nose and arms, the bandages on his face and leg, where he was shot. His neck was swollen. He was unrecognizable. Barber was one of the survivors that day. Six people died, including 9-year-old Christina-Taylor Green. The Jan. 8 shooter shot 33 bullets, hitting 19 people, in less than 20 seconds. Douglas laid out some of the gun regulations the march is calling for: universal background checks, a reduction in legal gun magazine sizes and a system to take guns away from people who may be harmful to themselves or others. "How many more people need to die before we make these changes?" Douglas said. Barber took the stage following his granddaughter and was joined by Roxanna Green, Christina-Taylor's mother. "Those of us who survived and those of us whose loved ones were murdered, across the country, we're part of a nationwide network that we never wanted to join," Barber said. "But we are united with the survivors and the families all across this country and with the students, of course, to make a difference. 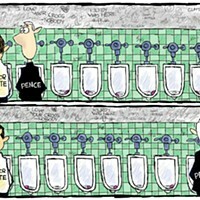 We are gonna change the laws in this country and this crowd is gonna help us do it." State Rep. Daniel Hernández Jr. riled the crowd with a chant: "No more violence. End gun violence." Hernández was an intern for Giffords the day she was shot. He quickly acted to staunch her bleeding and is widely credited for saving her life. On stage at the March, he was critical of Gov. Doug Ducey's school safety plan, announced last week, which includes mental and behavioral health resources at schools, a tip line for reporting school safety concerns, restricting firearms access for certain individuals considered a risk, increasing school resource officers and enhancing background checks. The plan says nothing about fixing the so-called gun-show loophole, which allows second-hand sales of guns without background checks. Only federally licensed firearm dealers are required to do background checks. "We are calling on Gov. Ducey right now," Hernández said. "Your school safety plan is a good start, but without background checks to make sure that people who shouldn't have access to guns don't get them, it is not enough to keep our kids safe. It is not enough to keep people safe in movie theaters, grocery stores, churches or schools." Eighty-two percent of weapons used in mass shootings—defined as at least four people killed in a public place—over the last three decades were bought by legal means, according to a database compiled by Mother Jones magazine, including the mass shootings in San Bernardino, Sutherland Springs, Las Vegas, Orlando, Roseburg, Charleston, the Washington Navy Yard, Newtown, Aurora, Parkland and Tucson, to name a few. So would banning bump stocks, assault rifles or any other proposed regulation work? To figure that out, we'll have to pull from the wealth of scientific studies done by the Center for Disease Control. There's only one problem: There are no studies. On almost any other public-safety issue, lawmakers would have a wealth of publicly funded studies on how to be safer, but when it comes to guns, the CDC has been banned from participating in studies that "advocate or promote gun control" since the mid-'90s. At the same time Congress enacted the ban, they cut $2.6 million from the CDC's budget—the exact amount the CDC used the previous year for firearms research. These moves put a halt on any gun-violence studies. But that could change. Last week, a new federal spending bill passed that included instructions that the CDC can again conduct research on the causes of gun violence—though some are skeptical this change will have any meaning since it doesn't come with any funding. Almost a month after the Florida shooting left 17 dead, Sunshine State lawmakers passed a school safety act. A few of the measures in the bipartisan gun legislation were raising the age to purchase a firearm to 21, banning bump stocks (attachments that makes firepower of semi-automatic weapons more rapid) and adding a three-day waiting period on all gun sales. The bill also contained a provision for $67 million to arm and train certain school employees, including counselors, coaches and librarians, though not full-time teachers. Florida native Ivan Luna talked on the UA stage about being a middle school teacher and the fear he sees in his students. "There is no reason why a semi-automatic weapon should be so easily accessible to anyone," said the Marine Corps veteran who has served overseas. "I will do everything in my power to keep my students safe, but I will not bring a weapon into my classroom. School should not feel like a prison.... We are not anti gun. We are anti school shootings." Gun-rights groups are not accepting the new Florida regulations without a fight. The NRA filed a lawsuit only hours after the state bill was enacted, saying raising the age to buy a firearm to 21 was unconstitutional. Tucson student Patrice Parker was 9 months old when her mother was murdered while sitting on a friend's porch. Her mother was 19 and was shot in the head by a convicted felon with an AR-15. "My mom was murdered because dangerous people have easy access to guns, and the NRA has weakened our gun laws," she said. "AR-15s don't belong in the hands of citizens. They were designed for war, to mutilate and kill our enemies as fast as possible. We need to strengthen our gun laws.... Our right to live is more important than anybody's right to own a gun." Many of the speakers were affected by a mass shooting, including friends and family of the victims of Tucson's 2011 shooting and of Christiana Duarte, the UA student who was killed in the Las Vegas shooting. But a few speakers, like Parker, had their lives torn apart by everyday gun violence. Barber asked the crowd how many students were registered to vote in the midterm elections, and hands went up, dispersed among the crowd. "I'm very proud that the students are leading us because clearly the adults have not done the job," Barber said. Two friends of Christina-Taylor Green took the stage, joined by Roxanna Green. Katie Sutherland and Rebecca Shanks are seniors in high school now—soon to graduate and soon to vote—but they remember being 9 years old. They remember finding out their friend and fellow student council member had been murdered. Shanks began listing off the mass shootings that happened since her friend was killed. Like a chant, she followed the details of every shooting with "We watched." "Jan. 8, 2011; Safeway parking lot; Tucson, Arizona; six killed, 13 injured. We watched. December 14, 2012; Sandy Hook Elementary School; Newtown, Connecticut; 26 killed, two injured. We watched." She continued the list, naming many of the high-profile mass shootings that have taken place over the last eight years. 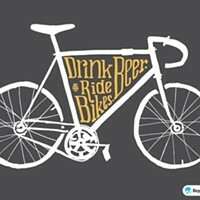 Sutherland chimed in: "Some lawmakers have suggested that our generation is too young to clearly understand this issue. I disagree." There was a chorus of applause as she echoed the demands for more gun regulation and added to the list: raise the age to purchase a firearm to 21, ban the sale of semi-automatic weapons and bump stocks, and enforce background checks and waiting periods. "If these actions had been taken, my friend would be standing here right now, supporting this cause," she said. "I am standing here today because I have been affected by gun violence, and I believe this is the most important issue facing our generation. We stand together today because of love and loss and hope and because we believe that this is our time, and this is our moment." 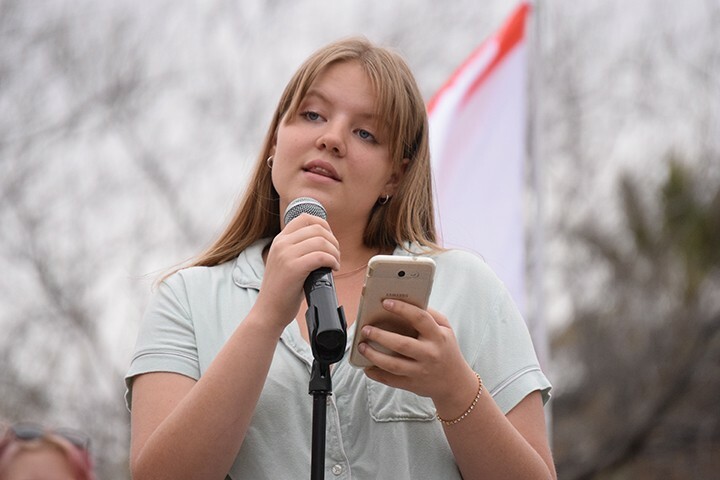 Shanks finished her chant with one last school shooting: "Feb. 14, 2018; Marjory Stoneman Douglas High School; Parkland, Florida; 17 killed, 14 injured. We marched out." Related: Read Jeff Gardner's coverage of Arizona's legislative efforts.